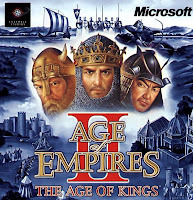 Despite the fact that Microsoft has in the recent past released a few mobile games for iOS and Android like Wordament, "Age of Empires" still remain as its most popular game to date to be offered beyond its own consoles. The strategy so great that analysts argue other game machine makers such as Mario Brothers creator Nintendo Co Ltd could consider in a bid to leverage their software assets. KLab will develop a mobile version of "Age of Empires" which will be released before the end of March, a KLab spokesperson said. Shares at KLab were overwhelmed by a glut of buy orders in Tokyo trade on Tuesday, with its price indicated at 972 yen, 18 percent higher than its last close. Contrary to some earlier reports, the agreement is only to develop a mobile version of "Age of Empires" and there were no announcements on other titles, the two companies said. This historical strategy game will be released worldwide in English for iPhones and Android-based phones, "with plans to release the game in other languages and on a Windows Phone in the future," a Microsoft spokesperson said.